Size – Four units approx 3.4m high in a 5.3m diameter pool. 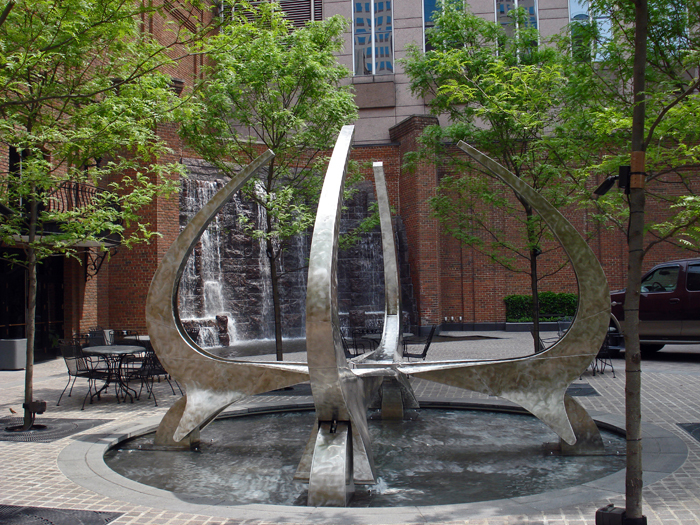 ‘Arpeggio’ was commissioned by The Heinz Trust for the centre of a public square outside Pittsburg Symphony Hall, USA. By day the general public sit and watch the movements of the sculpture as they eat their lunches. In the evenings the public gates are closed and audience members to the Heinz Hall ballet and orchestra come out in the intermission with their drinks to view the sculpture. 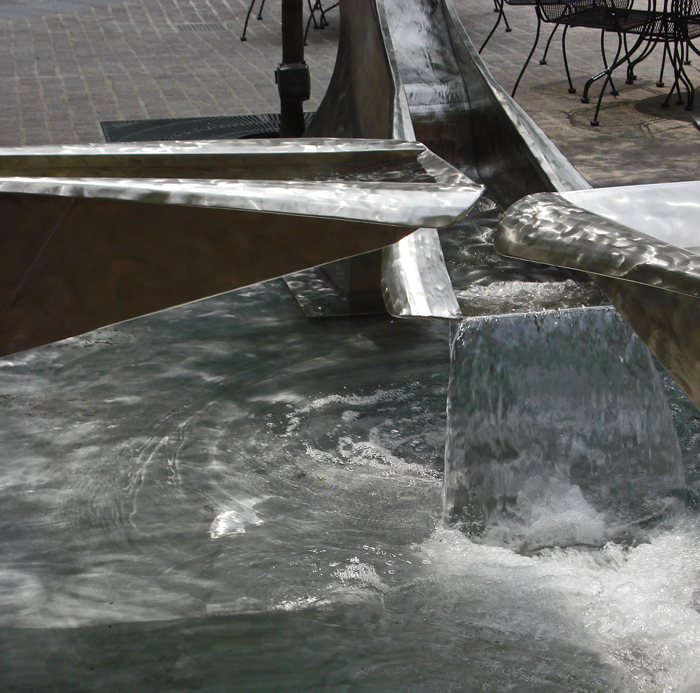 The movement of the sculpture is entirely due to the shifting weight of water. The effect is of tranquility and a sense of peace.